More bills of interest to agriculture were discussed this week during the 2019 Alabama legislative session. Leigha Cauthen, executive director of the Alabama Agribusiness Council, notes the general fund has passed out of the House. Some bills of interest to agriculture were discussed this week during the 2019 Alabama Legislative Session. Executive Director of the Alabama Agribusiness Council, Leigha Cauthen, has an update on those bills. The 2019 Alabama Legislative Session kicks off Tuesday, March 5th in Montgomery. And again this year Southeast AgNet will be getting weekly reports about bills of interest to agriculture from the Alabama Agribusiness Council (AAC). But before the session kicks off, AAC Executive Director Leigha Cauthen has information about a deadline coming up through their Foundation they want folks to be aware of. 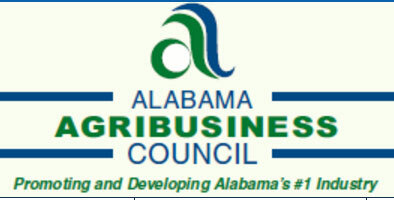 The Alabama Agribusiness Council (AAC) recently announced they have a brand new logo. And according to AAC Executive Director, Leigha Cauthen, they also launched a newly updated website. The Alabama Agribusiness Council (AAC) is giving folks across the state a chance to meet and learn more about the four candidates for Alabama Commissioner of Agriculture and Industries. AAC Executive Director Leigha Cauthen has the details. AAC Hosting Alabama Agriculture Commissioner Forum For more information and to RSVP, contact Leigha Cauthen at lcauthen@alagribusiness.org or 334-834-4006.